This is the third post in a series called "Aha moments!" 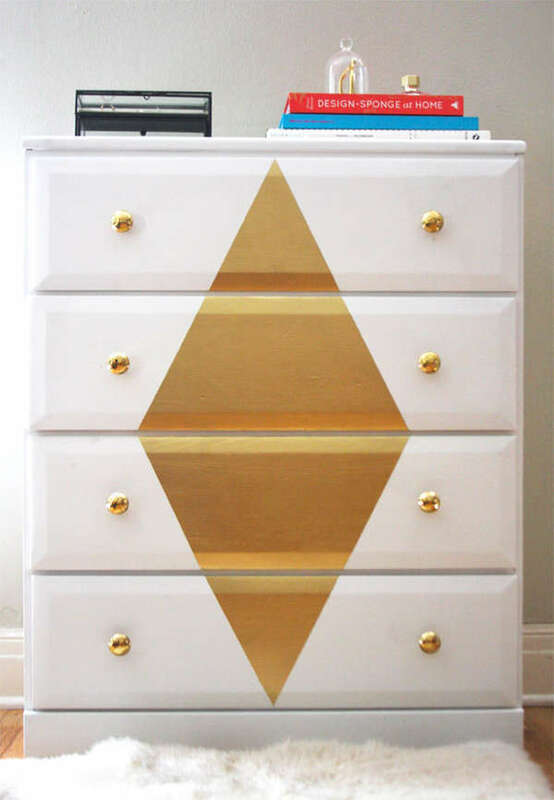 In this series, we take all the guess work out of restyling furniture! We start by showing you a piece of furniture (or in this case a pair) that we have available in our studio inventory - and then we'll show you some similar pieces that have already been restyled to help get your creative juices flowing. This vibrant yellow would look great in a grey or white room! And this colour is so similar to 'Sunflower' yellow from our van Gogh fossil paint line - and also similar to 'Prairie Sunset' from our Fusion Mineral paint line! If a rich and vibrant yellow isn't your thing - how about a more neutral palette with natural wood and a soft cream? Like this table we found over at Revolved Rubbish. I absolutely love how this one turned out with the natural wood stain on the top and bottom tiers! Here's another table done with wood stained tops, but in a cleaner more classic look. This table was restyled by Miss Mustard Seed waaaay back in 2009! Still looks good today! If you're looking to get a bit more adventurous with your tables, you could try something like these tables we found over at Nine Red. Why stop at just two-toned, when you can go three-toned and a chevron pattern, lol?! The vibrant blue used on these looks just like 'van Gogh' blue! Ok, ok. I get that these might be a bit too 'out there' for most homes, but I think they would be great fun at a cottage! Alright, so now that you can see this desk a few different ways - tell us which is your favourite? Wasn't that fun? Ok, we want to know - if you were to restyle these two tiered tables (or have us do it for you), which style would you go with? Comment here on our blog or let us know on Facebook! This is the second post in a series called "Aha moments!" 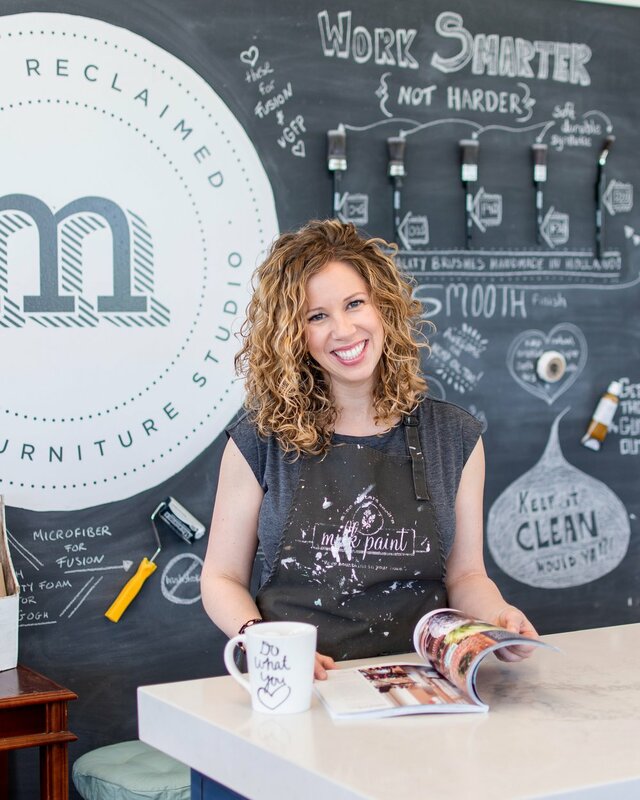 We're going to take all the guess work out of restyling furniture, we're going to help you see the potential, we're going to show you what a little paint and TLC can do, we're going to help you have an 'aha' moment, we're going to . . . I think you get the idea, lol! We start by showing you a piece of furniture that we have available in our studio inventory - and then we'll show you some similar pieces that have already been restyled to help get your creative juices flowing. A cute little 3 drawer dresser - with a finish that leaves much to be desired. Super cute, right? I mean admittedly they are different styles, but I seriously love the combination of the stripes and the natural wood front drawers!! Pretty cool, right? This would be easily done with some painters tape and the van Gogh Liquid metal paints! 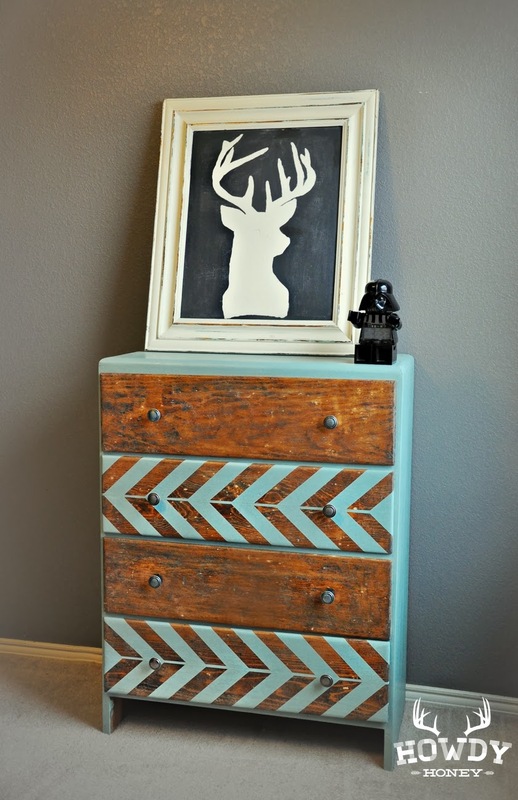 Speaking of painters tape - check out the dresser we found over at Howdy Honey looking all herringboned and gorgeous . . . again with some of the natural wood showing too. I'm loving it! 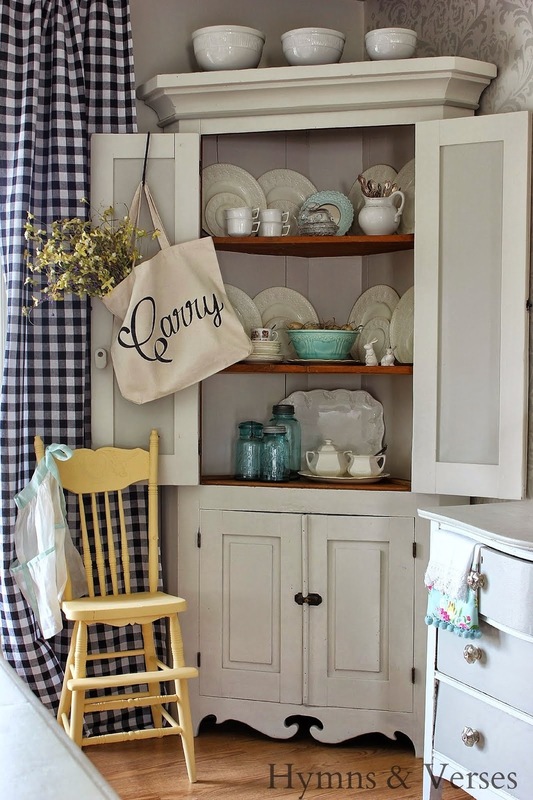 I think pretty much any dresser looks great in a teal or blue/green kinda colour and this next one is no exception! 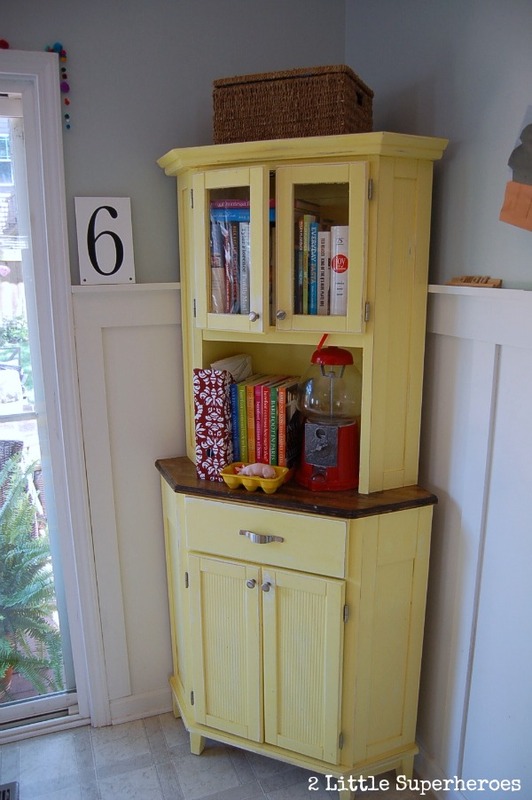 This is a simple little dresser we restyled here at the studio using Miss Mustard Seed's Milk paint. 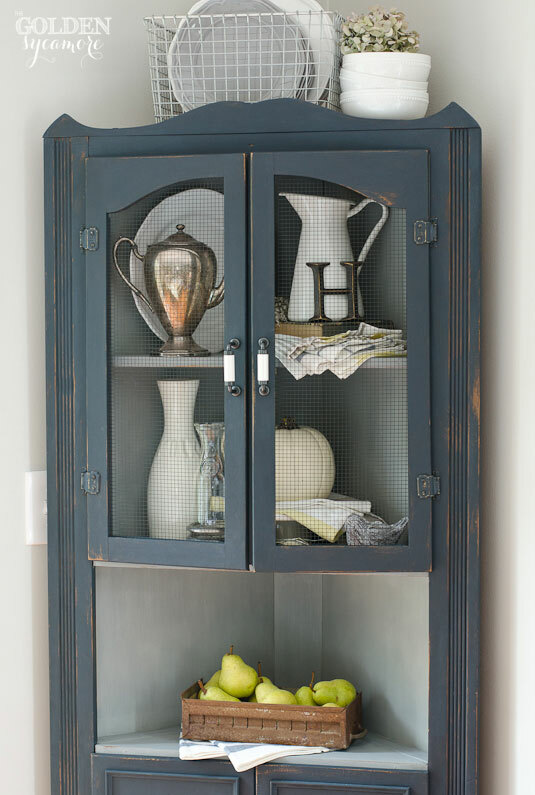 I love the naturally worn look that milk paint gives. And new hardware always helps to 'up' the charm factor too! Alright, so now that you've seen a few different ways to restyle this dresser - tell us which is your favourite?? If you were to restyle this dresser (or have us do it for you), which style would you go with?